Supreme Rosewood 16 Year Annual Shield. 300 x 225mm wide. Scroll and a centre shield for the club/team name and awards title. 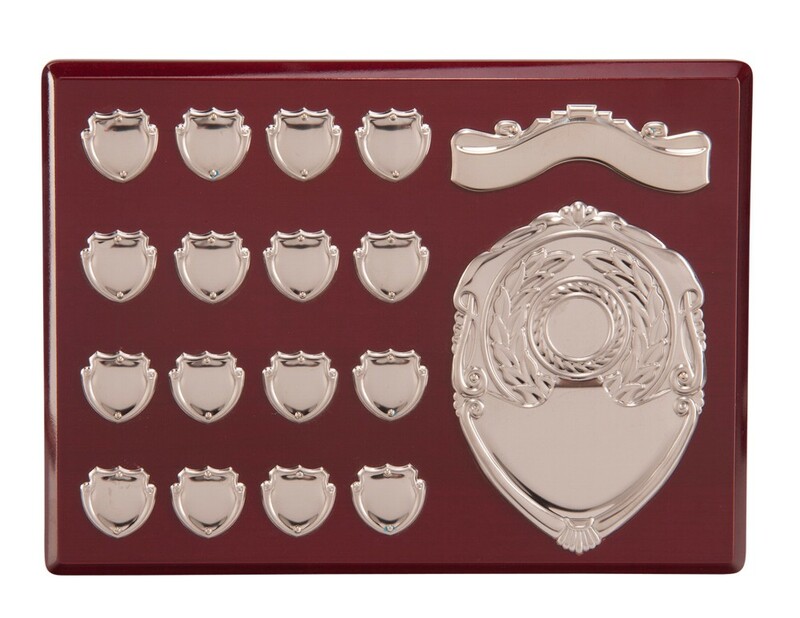 16 mini date and name shields attached for the annual winners.